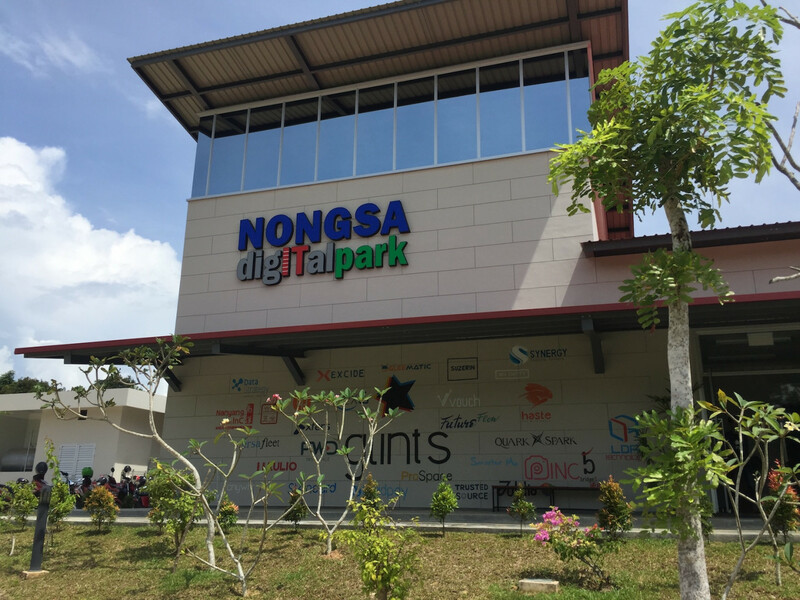 A Mozart composition could be heard in the open lounge area in a building at the Nongsa Digital Park in Batam, Riau Islands. Three young men sat around a table with laptops, phones and drinks visible, talking seriously and laughing occasionally. The young men, aged 22 to 25 years old, were taking a short course at the Glints Academy located in the technology park to polish their information technology (IT) skills. They were among many who came from Jakarta, Semarang (Central Java), Medan (North Sumatra) and Riau. The two-month course at the Glints Academy gives young people the skills to work for Singaporean startup companies. Despite job opportunities in the IT field being promising, it is not easy to find young people with the applicable skills. The technology park is the realization of a commitment by President Joko “Jokowi” Widodo and Singaporean Prime Minister Lee Hsien Loong to develop Batam as a digital bridge between Singapore and Indonesia. Singapore, through the Economic Development Board, has appointed PT Glints to act as a headhunter for the recruitment of Indonesian human resources that suits the needs of companies in Singapore. “In Singapore, the demand [for IT employees] is very high, while the availability of human resources is limited […] The Glints Academy was created to ensure that available [Indonesian] human resources are qualified to work for Singaporean companies,” Nara Dewa, Citra Mas Group human resources and general affairs manager, said recently. Find Indonesian talents who want to work remotely from Batam for Singaporean companies has proven to be challenging as many big local startup companies, such as ride-hailing company Go-Jek and e-commerce platforms Tokopedia and Lazada, also need qualified IT employees. 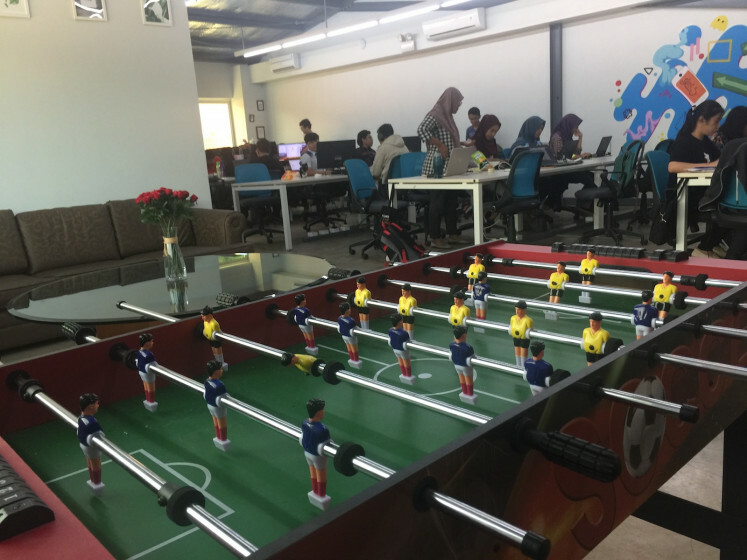 Many local talents prefer to work for these popular local IT companies as it means they would not have to move to Batam, which is a one-hour ferry trip from Singapore. The park hosted the e27 academy from Nov. 28 to 30 last year and welcomed 200 guests from Indonesia and Singapore. Kris Wiluan, Citramas Group president director, said the e27 academy was organized to prepare Indonesian human resources to become technopreneurs. “We want these young people to understand the concept. One simple example is how almost everyone can make coffee, and yet coffee made by Starbucks is different. They have the concept,” he said. The park is a subsidiary of Citramas Group and a strategic partner of the e27, a regional platform established for the media, community, event, talent and ecosystems related to funding startups. The park was built by the Citramas Group on a 166-hectare plot of land. About 3 hectares has been built with an investment of Rp 80 billion. It is located near luxury resorts in Batam and next to the Nongsa Point Marina ferry terminal, from where ferries depart for Tanah Merah in Singapore. The park was inaugurated by Foreign Minister Retno LP Marsudi and Singaporean Foreign Minister Vivian Balakrishnan on March 21 last year. 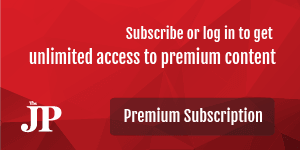 It hopes to attract more than US$500 million in investment in the digital economy and create 10,000 jobs. Andi Satriawan Lubis, performance and culture manager at PT Glints Indonesia, said 110 Indonesians currently worked remotely from Batam for 80 Singaporean companies. Of the figure, only 30 percent of the young talents come from Batam and the remainder from Yogyakarta, Bandung, Ambon and other cities. For Singaporean IT or startup companies, the park is a great solution because they can reduce costs by recruiting Indonesians instead of Singaporeans. As an illustration, the standard salary for a fresh graduate in Singapore is S$3,600 (US$2,670) per month, for the intermediate level $5,000 to $7,000 per month and the proficient level $10,000 per month. In Indonesia, the monthly salary for fresh graduates starts at $500, $1,000 for the intermediate level and $2,000 for the proficient level. “We encourage Indonesians to work for Singaporean companies first so that in a few years they can enter the international job market and get better incomes,” he said. 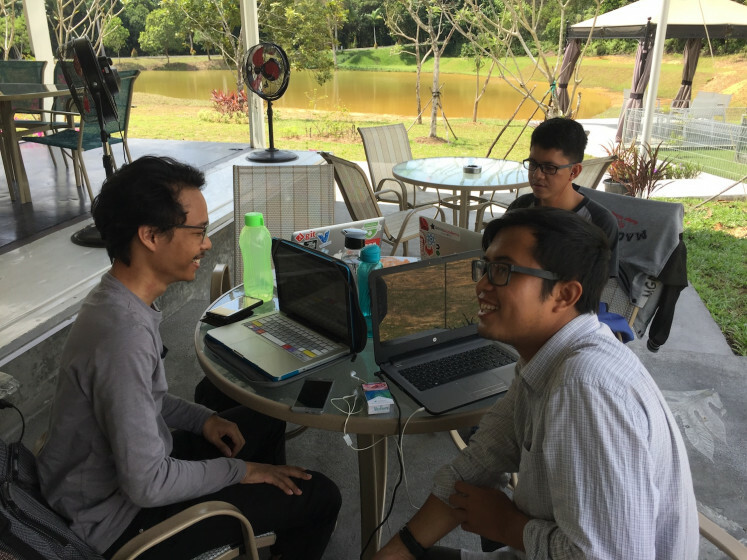 Felix Prawira Azali, 25, a young talent who works remotely from the park for Stendard, a Singaporean IT company, said he was recruited through Glints and was now working full-time.